F. Gawet, Vienna, 1826 (Lugt 1069). Johann Sigmund Bermann, Vienna, 1834 (Lugt 235). (sale, Galerie Bassenge, Berlin, 24 November 2000, no. 5171) (via David Tunick, New York); purchased 2000 by NGA. 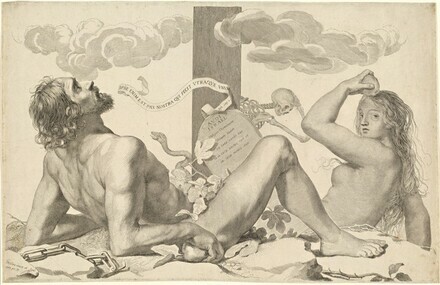 The Brilliant Line: Following the Early Modern Engraver, 1480 - 1650, Museum of Art, Rhode Island School of Design, Providence; Mary adn Leigh Block Museum of Art, Northwestern University, Evanston, IL, 2009 - 2010, cat. by Emily J. Peters. Preaud, Maxime. Inventaire du fonds francais; graveurs du XVIIe siecle: Claude Mellan. Vol. 17. Paris: Bibliotheque Nationale, 1988.